Croeso, welcome to Year 6! Swimming – Year 5/6 swim on Wednesday mornings. Please ensure your child comes to school with a swimming kit each week. The cost of a swimming lesson is £2. This can be paid via Parent Pay. P.E – Our P.E sessions is every Friday afternoon. Please ensure your child has a PE kit in school each week. If there is anything else that you need to know or if you have any questions, feel free to come in and speak to Mr. G.
We have 2 sessions of PE each week. There is a swimming lesson each Thursday and an outdoor session of P.E. on a Friday. Please remember to have your kit in school (or leave it on your peg). Please make sure all your items of clothing are clearly labelled. 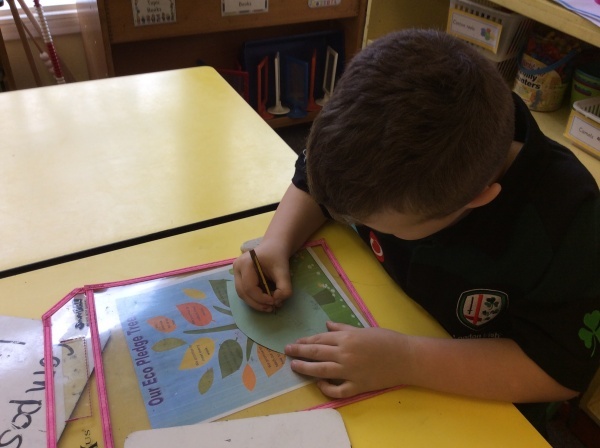 A piece of English and a piece of Maths homework will be set each week. It will be given out each Wednesday and it should be completed and returned by the following Tuesday. If you have any questions, please come and see me! There will also be a project set each term linked to our current topic – this term it is Victorians. More details will be given at a later date. We have two sessions of PE a week. On Tuesday we have outdoor games and on Thursdays we have swimming. Please remember to have the relevant kit in school (or leave it on your peg). Please make sure all your items of clothing are clearly labelled. Homework will be given out on a Thursday, this should be completed and returned by the following Wednesday. You will need to complete one piece of Maths and one piece of English homework. The web address for the maths homeworks is www.activelearnprimary.co.uk. All children have their own username, passsword and school code in the front on their homework diary. Reading records need to be kept up to date, either reading books from school or home. Croeso, welcome to Year 3! We have 2 sessions of PE each week. On Tuesday we have indoor gymnastics and on Wednesday we have swimming. Please remember to have the relevant kit in school (or leave it on your peg). Please make sure all your items of clothing are clearly labelled. Spelling lists – these are given out on Monday and tested the following Monday. Spelling sentences – words are given out on Monday and handed in on Friday. Times tables – regular practice is needed in preparation for speed trials that take place throughout the week. 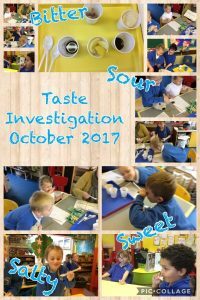 Reading records – these need to be kept up to date, either reading books from school or home. Croeso, welcome to our Year 1/2 class! We love to learn through practical activities, experimenting and exploring. Our PE session is on a Friday. PE clothes – shorts, T shirt and trainers or daps – can be left in a bag on the pegs. We must ensure that all of our clothes are clearly labelled with our names! We bring Oxford Reading Tree books home in our book bags. We love to read every night – little and often is the best way. We also have to practise our high frequency words – these are kept in a folder in our book bags. 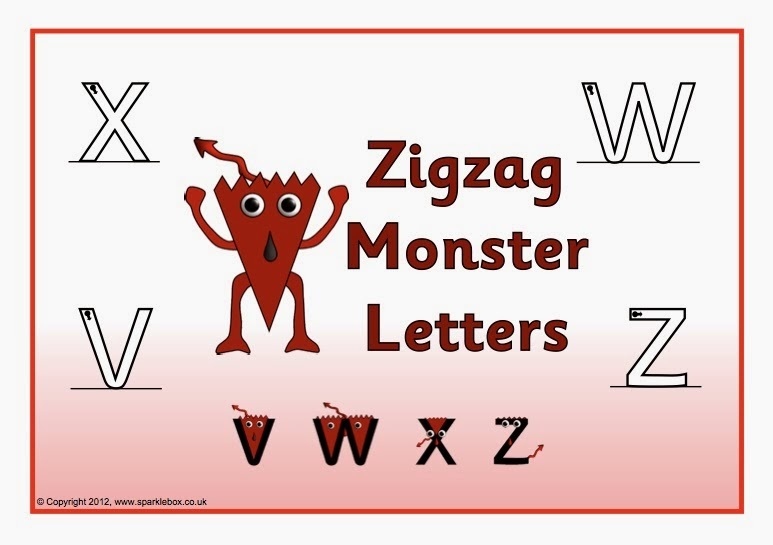 Jolly Phonic letter sounds are also given out to practise at home. Sometimes we watch Alphablocks if it links to the sounds we are learning in our phonic sessions. To watch these at home, click here. Please try to find a quiet ten minutes every day to look at a book with your child. The more you read and talk about stories, the more confident your child will feel about handling books. Gradually, he or she will make the connection between the story you read aloud and the printed word. Children often have favourite stories they want to hear again and again. After hearing a story several times, they will ‘read’ it themselves, memorising the words. This is an important step towards becoming a reader, and deserves your praise and encouragement. Kipper is 4 years old. His real name is not ‘Kipper’ – it’s Christopher! When he was little and learning to talk he used to say his name was ‘Kipper’. His Dad thought this name suited him so ‘Kipper’ stuck! Kipper is a little mischievous and sometimes gets into scrapes! He has a good imagination and loves the world of make believe. He has a teddy called ‘Teddy’ who goes everywhere with him. Biff and Chip are Kipper’s brother and sister. They are 7 year old twins. Biff’s real name is ‘Barbara’ and Chip’s real name is ‘Chip’. When Kipper was little he couldn’t say ‘Barbara and David’ and instead he called them ‘Biff and Chip’. This made everyone laugh and the two names stuck! Floppy is the family’s pet dog. He is called Floppy because of his long, floppy ears and flops down to sleep when tired! He often gets muddy and likes to chase cats! Floppy carries the ‘Magic Key’ on his collar. The ‘Magic Key’ can take the children on special adventures but Floppy would rather be burying bones or taking a nap than going on an adventure! Mum is the practical one of the family – if something needs fixing then she will do it! She will put her hand to anything, whether it’s unblocking the sink or building a new shed! She is patient and kind. Dad is the ‘fourth child in the family’ – or so Mum says anyway! He is always messing about and playing practical jokes! Things often go wrong for Dad and he usually makes more mess than there was when he started! Dad is great at organising games and telling stories. Wilf and Wilma are brother and sister and are Biff and Chip’s friends. 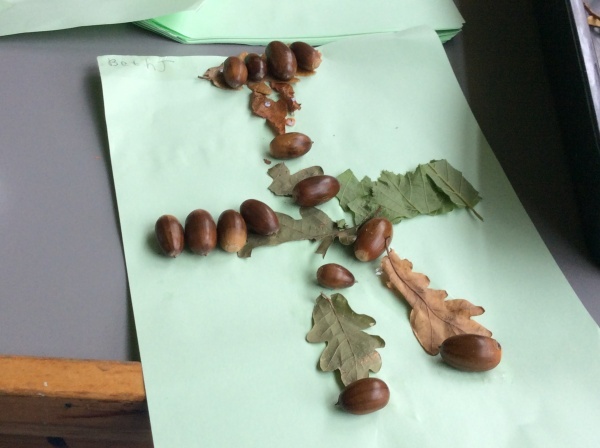 Wilf is seven years old and is very clever – in fact he is a walking encyclopaedia of facts! Wilma is eight years old and likes to boss the gang around! Gran likes to take the children on lots of adventures! The whole school follows the PenPals handwriting scheme. In the Reception class children are introduced to four main character which help them to memorise the correct formation of letters. 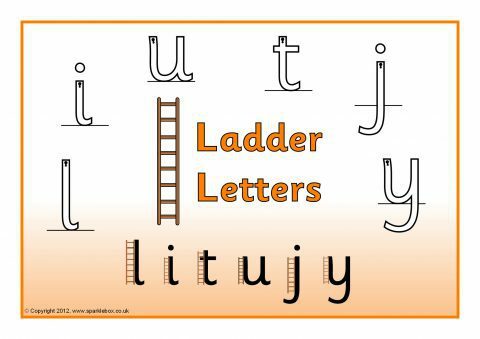 When forming all letters it is important to remember never to start at the bottom! When writing it is very important that children hold the pencil in the correct tripod grip. 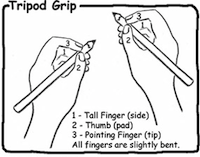 The pictures below show the typical stages children go through when holding a pencil. In class we use the term “pinch your pencil” to encourage correct pencil grasp. 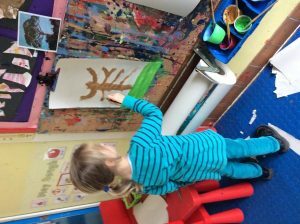 At Hay on Wye CP School, we use the Jolly Phonics and Letters and Sounds approaches to learn to read and write. 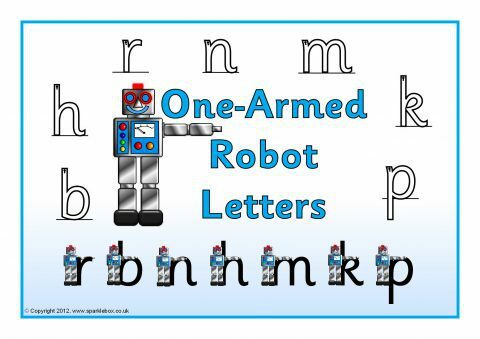 Learning the letter sounds in groups as above, rather than alphabetically, enables children to begin building words as early as possible. 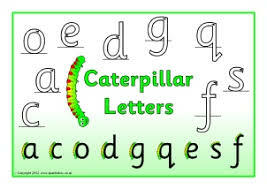 More information about the words that can be made using these letters can be found on the Letters and Sounds website. Phase 3 introduces the remaining single sounds, the double sounds, known as digraphs. 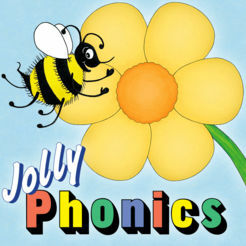 The Jolly Phonics approach offers a multi-sensory way of learning letter sounds. 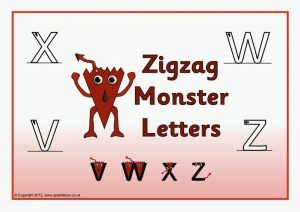 There are actions and songs linked for each of the letter sounds. Please click here for a printable copy of these actions. To practise these at home, please click here for phase 2 and click here for phase 3. Croeso, welcome to our Reception /Year 1 class! Our topic this Spring term is called ‘Wales and farming’. We will learn about Wales and about Welsh legends such as the story of why there is a red dragon on the flag of Wales, the story of Dwynwen and King March. We will then find out about the importance of farms and farming. 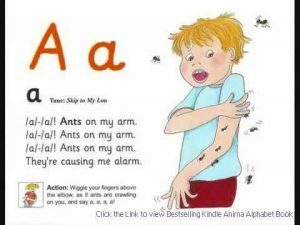 A learning log is sent home weekly via Schoop. 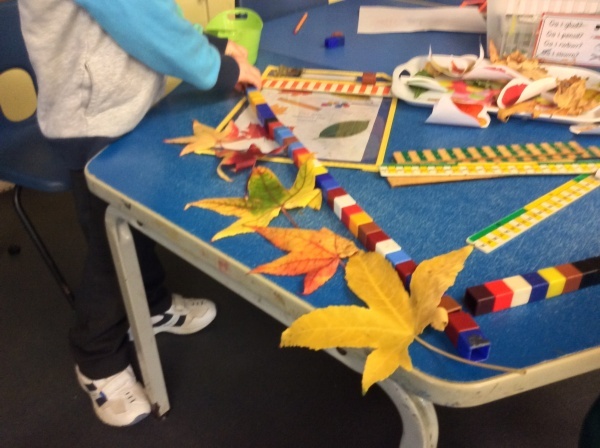 This informs parents of our learning each week as well as suggested activities to complete at home. We have our PE session on a Wednesday. PE clothes – shorts, T shirt and trainers or daps – can be left in a bag on the pegs. We must ensure that all of our clothes are clearly labelled with our names! Reception swim every Thursday afternoon. The cost of this is £2 a session. We bring Oxford Reading Tree books home in our book bags. We love to read every night – little and often is the best way. If we’ve read our book at home and would like a new one then we can put our book and yellow reading record book in the box labelled ‘Please change my reading book’. This can be found next to our reading folder box in class. The Oxford Owl website is for both teachers and parents and has a wealth of information about how to support children with their reading and maths work. The e-books and games are now also ‘tablet-friendly’. Please take the time to look at this great website. 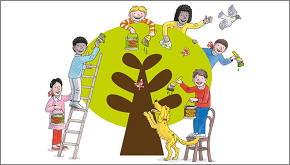 Click here to read more about the Oxford Reading Tree scheme. Please do not hesitate to speak to a member of staff if you require further information about what we do in class.